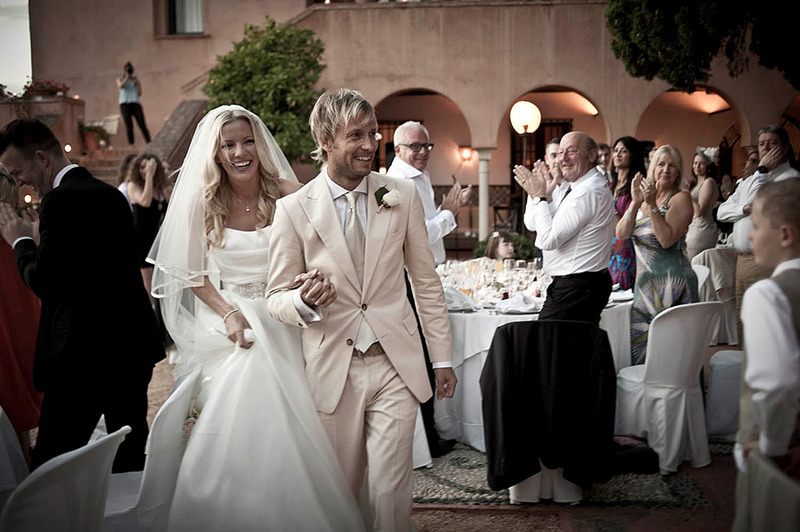 Rock ‘n’ Roll wedding of Rick Parfitt Jnr to love Rachel in the beautiful hotel Castillo de Santa Catalina in Spain wearing wedding dress by designer Suzanne Neville. 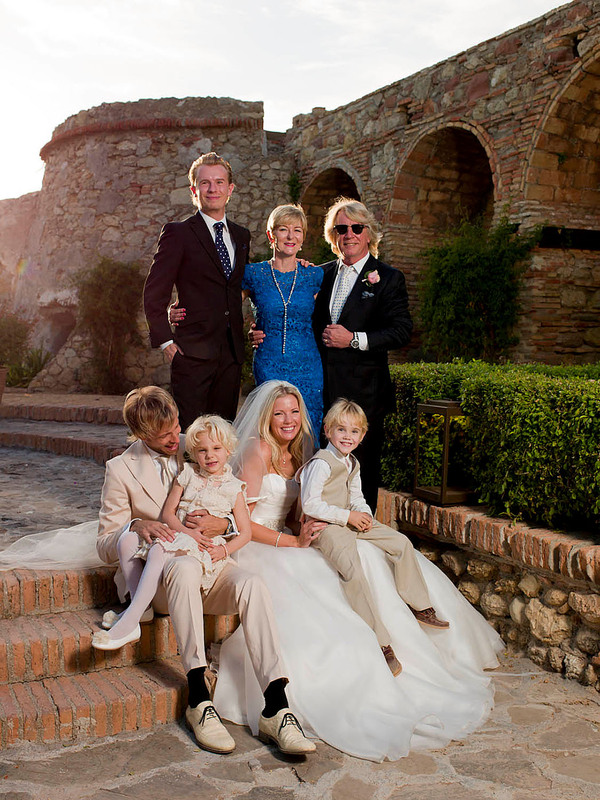 Guests travelled from all over the world to attend the fabulous wedding of Rick Parfitt JNR and his beautiful bride Rachel in the picturesque hotel Castillo de Santa Catalina in Southern Spain. 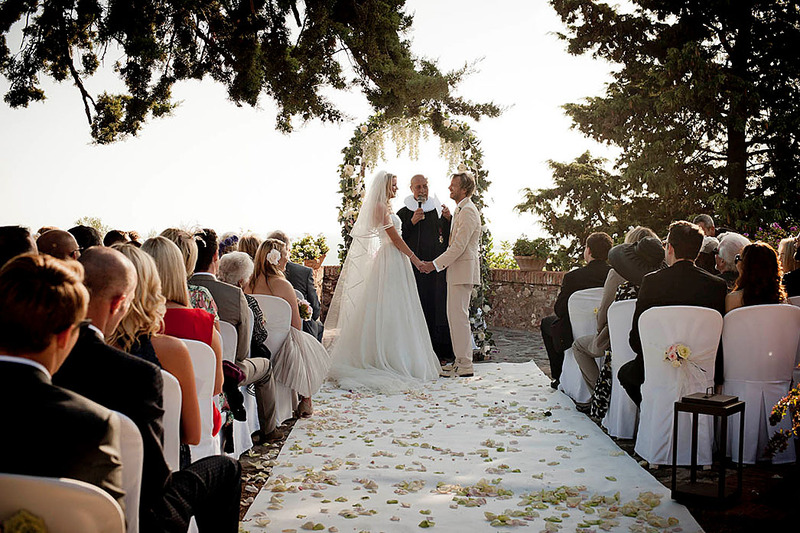 The stunning bride was dressed in a Suzanne Neville silk organza ‘Gracie’ gown with a strapless fitted corset, beaded belt, and a full circular skirt with train. 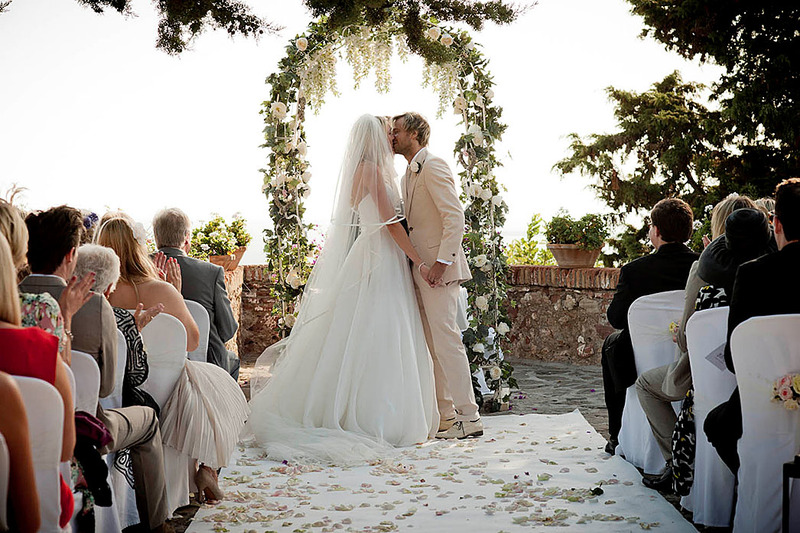 See Hello Magazine this week for the full article and more pictures of this beautiful wedding and watch the behind the scenes video of their wedding day.